I read in a newspaper that, according to some recent studies, no matter what’s the weather like, it’s always French people’s favourite topic of conversation – and global warming is probably making it even worse… What these studies are missing, in my opinion, is that it’s always been like this, in every part of the world. Anyway, that was a very bad hook to introduce some French Weather Report epigone. There’s not much that can be said about this mysterious LP : the musicians don’t seem to have been involved with any other French jazz project, there’s no label to investigate, … However, there’re A LOT of Joe Zawinul/Weather Report influences that has been been poured into the record. 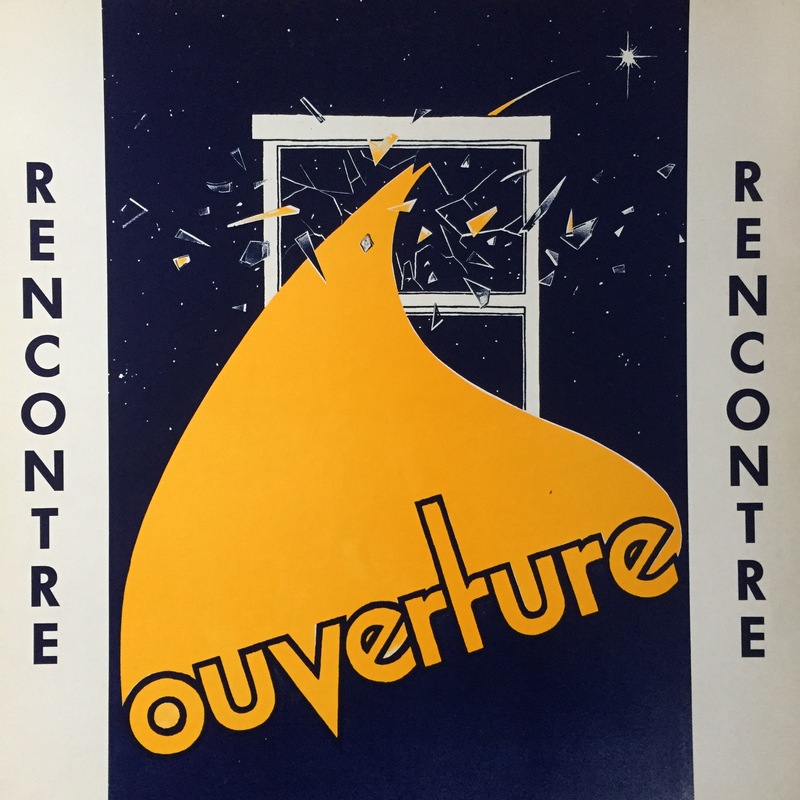 I think Rencontre by Ouverture is nothing more than the project of a bunch of friends who want to play the music they like to listen to – that is to say a lot of Jazz-Fusion records, including, of course, Wayne Shorter and Joe Zawinul‘s legendary act, Weather Report. Rencontre is probably one of the best, if not the best example, of a band mimicking Weather Report, reaching copycat perfection on the nerve-racking opening track, Fusion Jazz. However, there is something genuinely hypnotizing in the title track (by far my favourite on the album) that prevents Ouverture from being a mere ersatz of the legendary band. The musicians are taking their time, momentarily forgetting their major influence, for the best.